 KONDININ Group’s research team has started self-propelled sprayer testing this week. Self-propelled sprayers are being tested by the Kondinin Group. Picture Ben White.  The testing schedule this week included a Miller 7310, Rogator C Series and Apache sprayer. 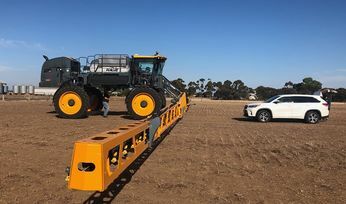 On the ‘to do' list in WA is a John Deere with a carbon fibre boom and the biggest self-propelled sprayer in the market in Australia, the Hardi Rubicon. The Rubicon has a 9000 litre capacity main tank. Testing involves measuring boom stability, in terms of up and downward movement as well as pitch and yaw. 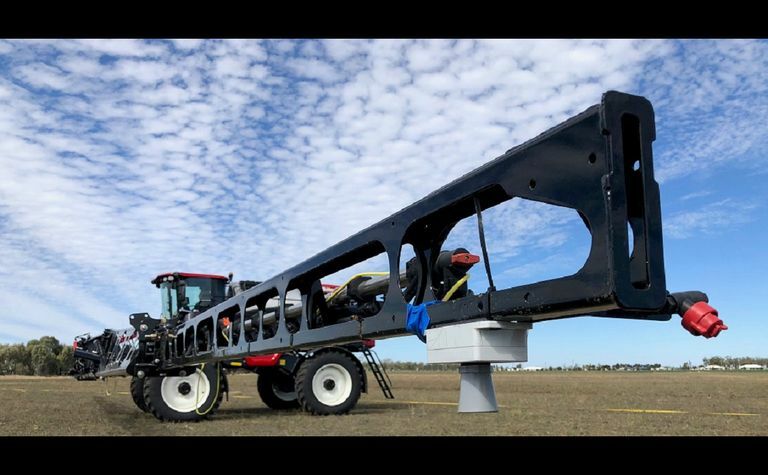 The team has developed a height sensor testing kit which is fitted to each boom for testing with a notable addition being a third height sensor, located in the middle of the boom wing. 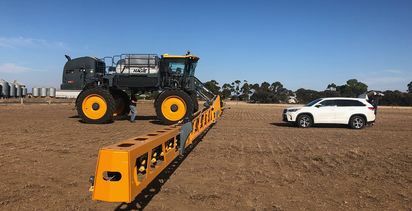 Once fitted with the sensors, the sprayer is then driven around a measured test course which includes driving over man-made bumps, to replicate ground undulations such as check banks. The sprayer is also driven around a virtual obstacle to see how the boom stability performs when going around a corner at speed. 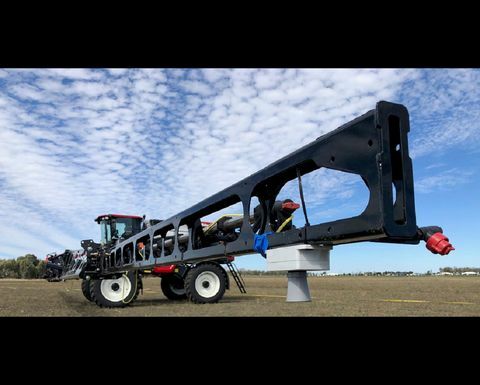 Other aspects of the sprayer are also inspected such as operator comfort, fill centres, walkways, induction hoppers, plumbing and boom construction. Cabin noise levels are recorded at 25km/h at the operator's ear and all machines are weighed empty and half-full (an average working weight) to check axle loadings.